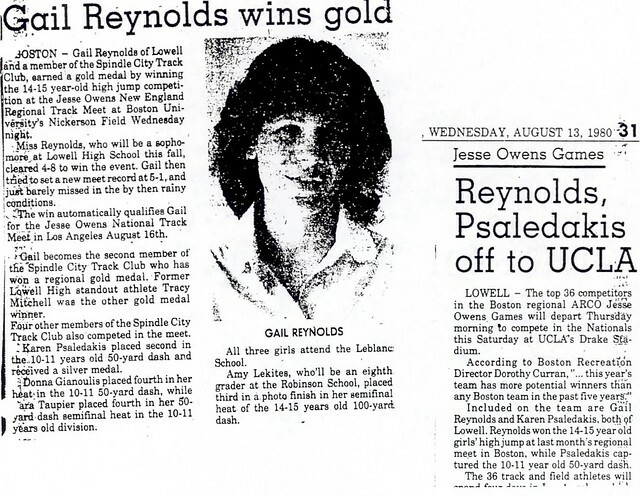 One of the prime catalysts in the early development of girl’s sports at Lowell High School, Gail Reynolds played significant roles in the expansion of the Girls Track program and the establishment of the Girls Swim program on Kirk Street. 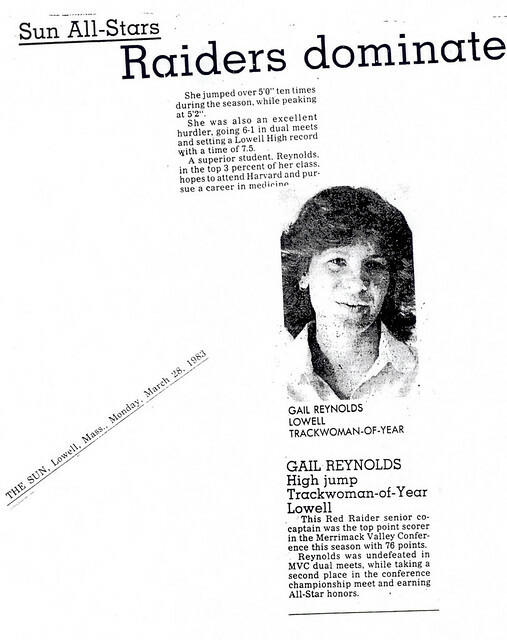 Gail’s talent, leadership, and enthusiasm were critical facets in the initial successes of the Track and Swim teams. 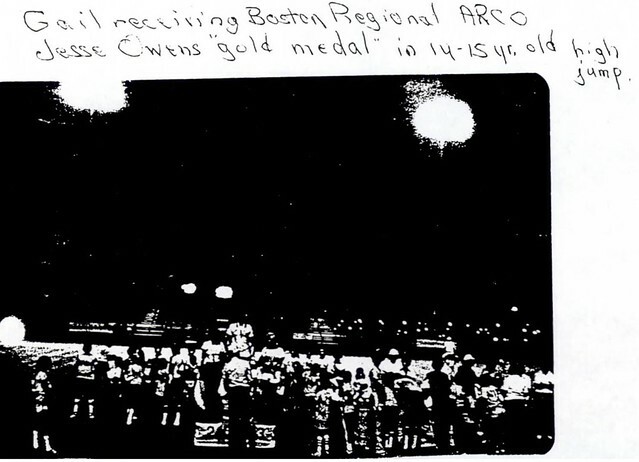 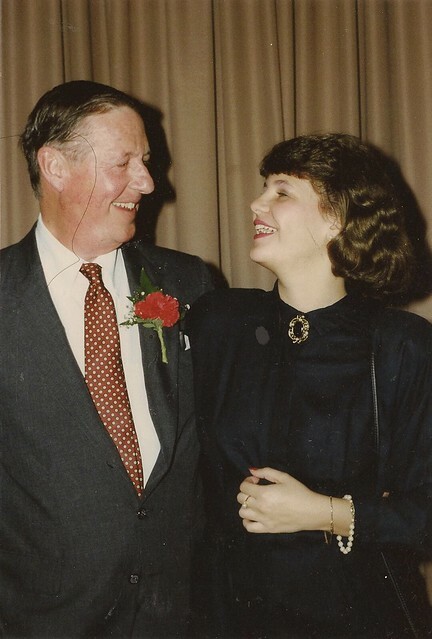 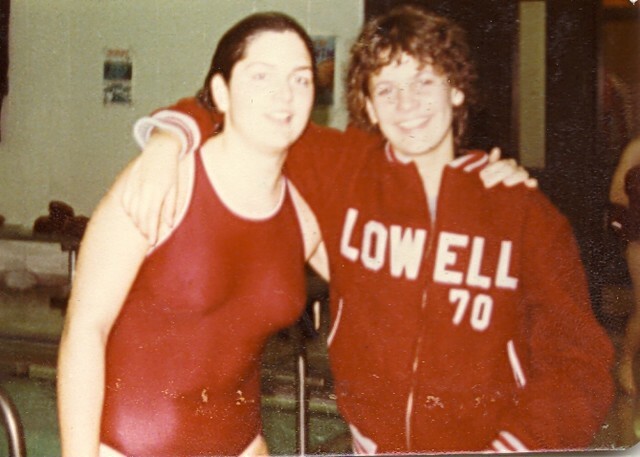 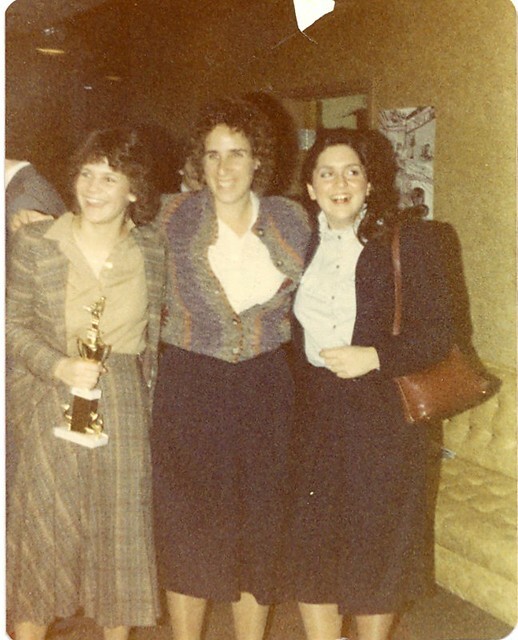 Having competed in age-group swimming for several years, Gail joined the newly established Lowell High School Swim program in the fall of 1981 as the Red and Gray embarked on a short exhibition season. 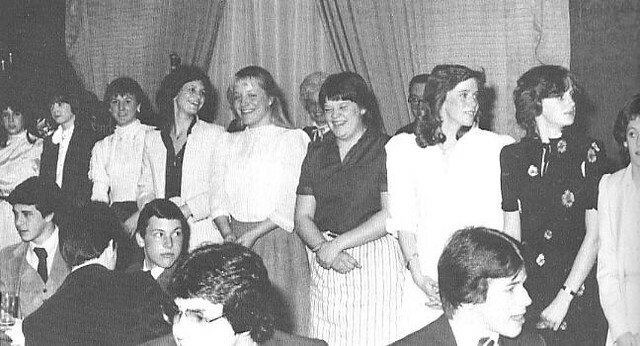 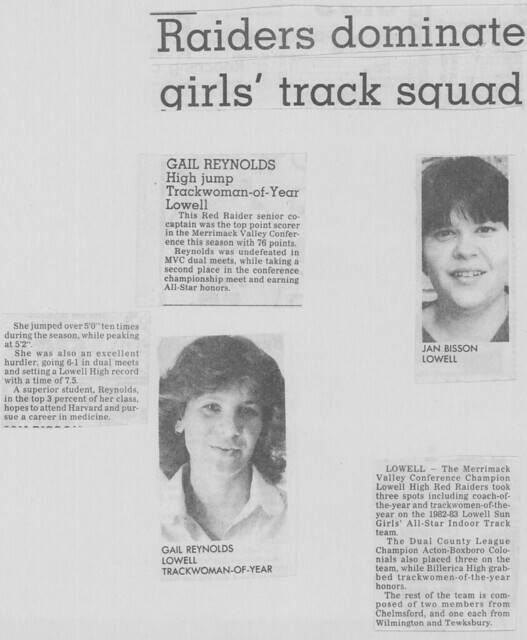 During the 1982 season (Lowell’s first”official” season), Gail served as a team Co-Captain, helping to actively recruit candidates for the squad. 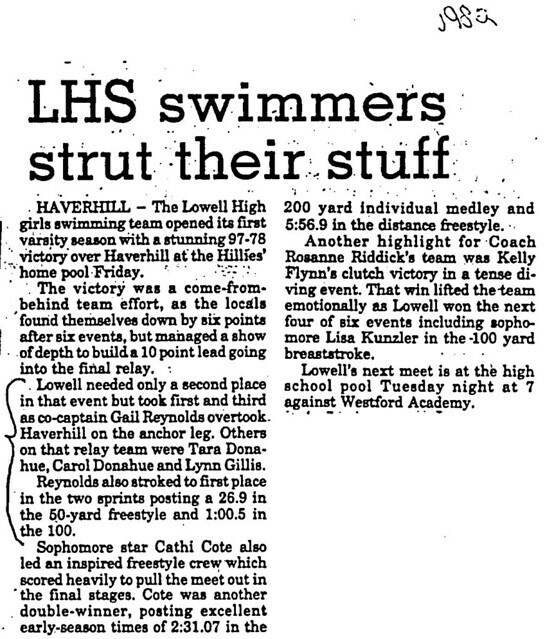 In the 1st meet in the program’s history, Gail won the 50-yard and 100-yard freestyle events and came from behind as anchor leg of the 400-yard relay to clinch a stunning victory over Haverhill. 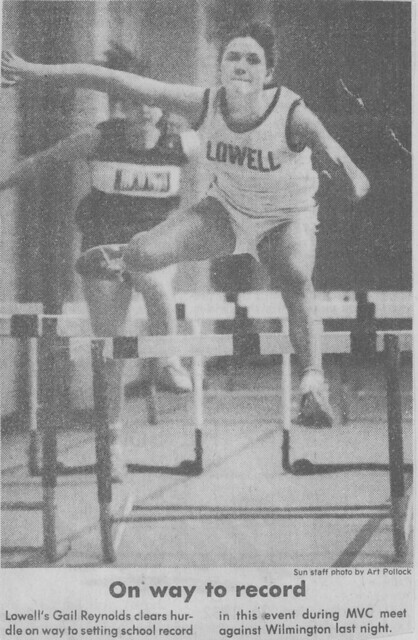 Gail helped lead Lowell to a 6–3 season and also competed in the North Sectional Championship Meet. 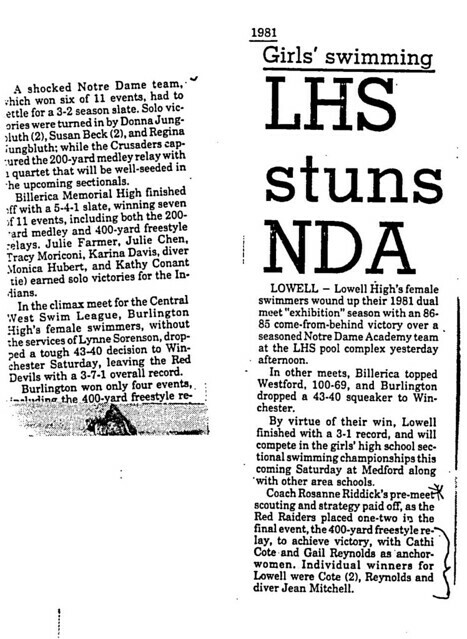 She set school records in both the 50 and 100 freestyle events and was named a Merrimack Valley Conference All-Star. 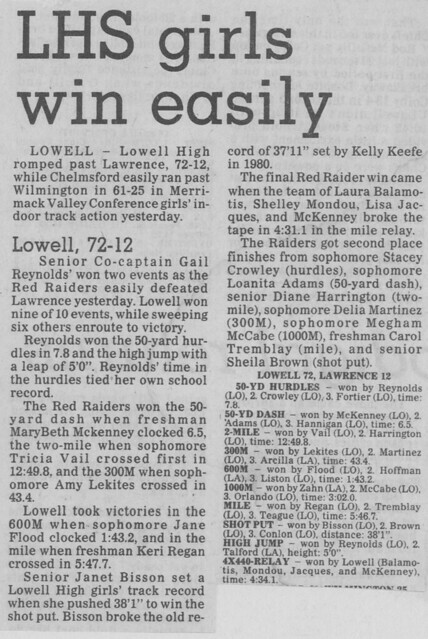 During Gail’s freshman (1979–80) and sophomore (1980–81) seasons she was a solid performer in the high hurdles and high jump as the Red and Gray Track team received its initiation into the highly competitive Merrimack Valley Conference. 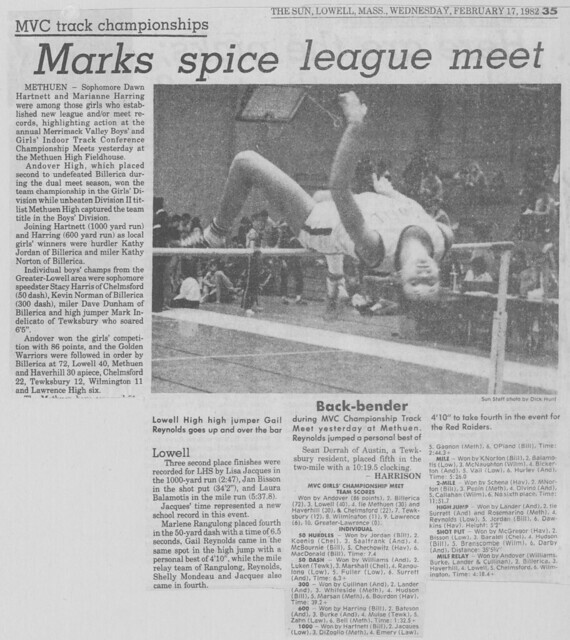 At the conclusion of her freshman year, Gail, competing for the Spindle City Track Club, earned a gold medal by winning the high jump in the New England Regional Area Jesse Owens Game, thereby qualifying for the National Jesse Owens Games in Los Angeles. 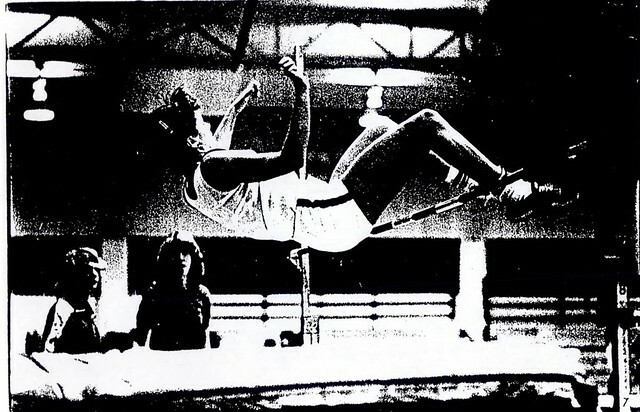 Competing at UCLA, Gail placed 6th in her event and met track legend Jesse Owens. 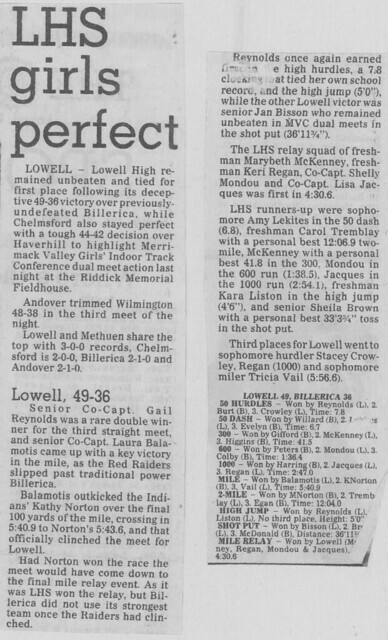 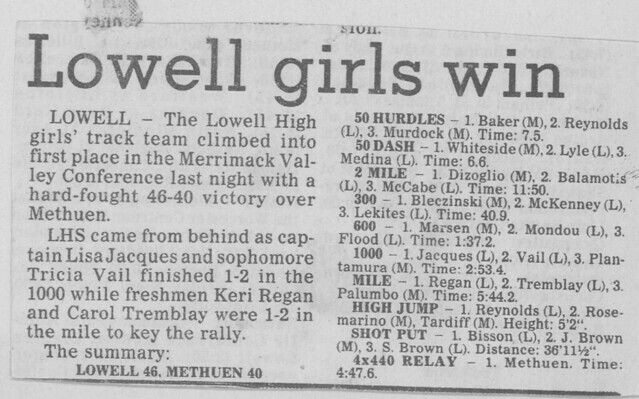 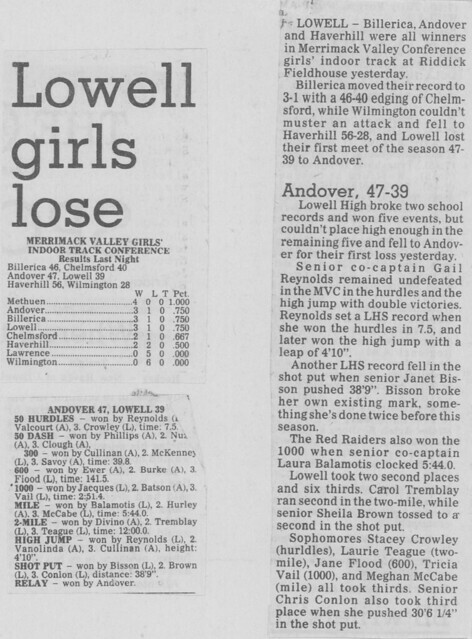 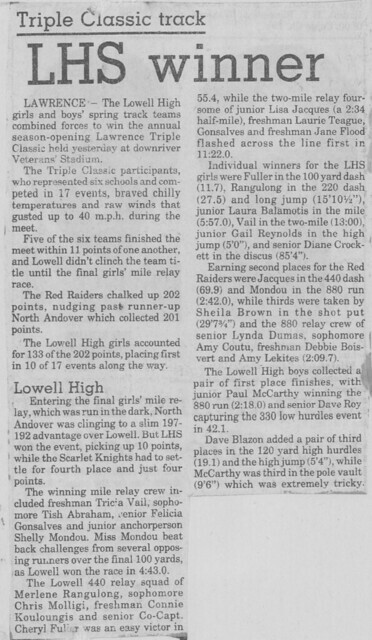 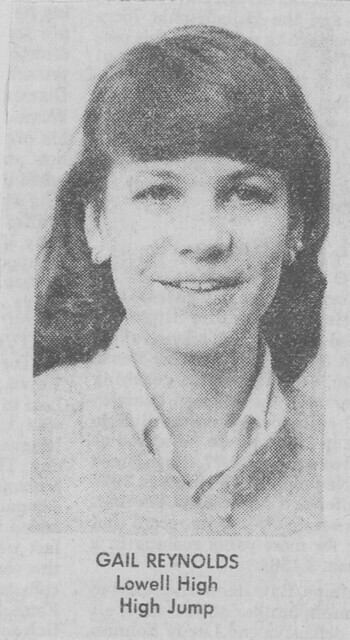 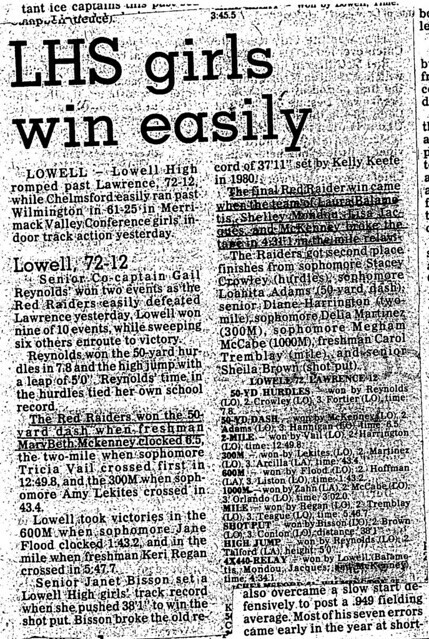 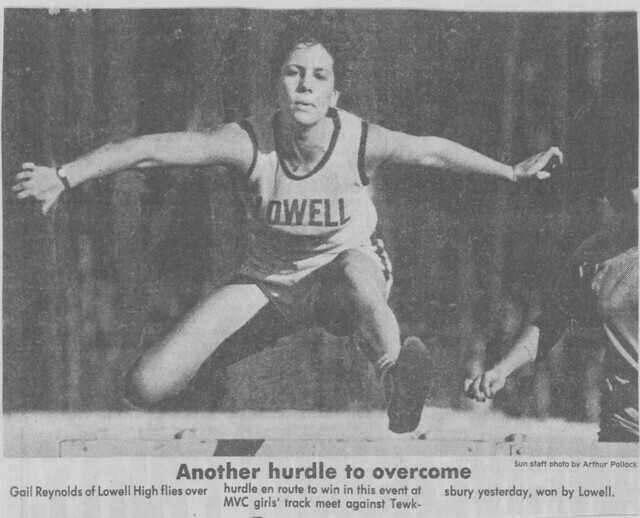 As a junior (1981–82) Gail blossomed into one of the premier hurdler/high jumpers in the MVC, leading the Raiders in scoring and winning Lowell Sun All-Star honors during the indoor season. 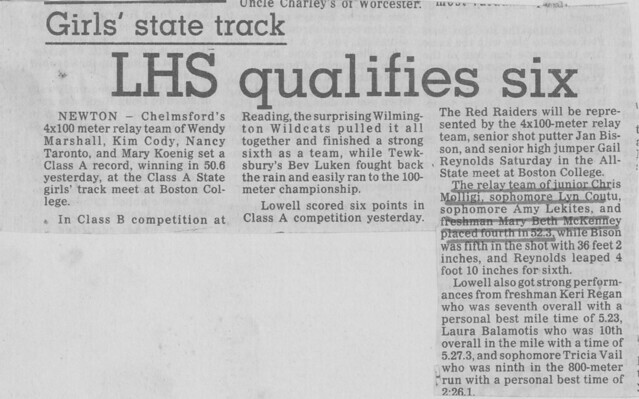 Outdoors Gail was a member of the Red and Gray’s 6th place 4×100 meter relay team at the Eastern Mass Class A Championship Meet. 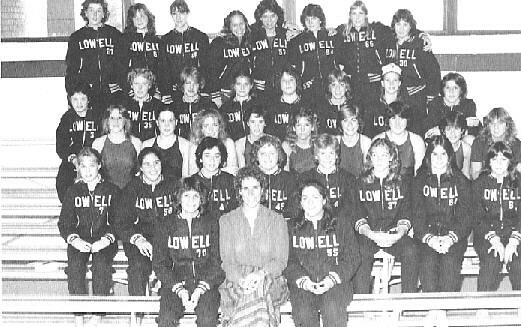 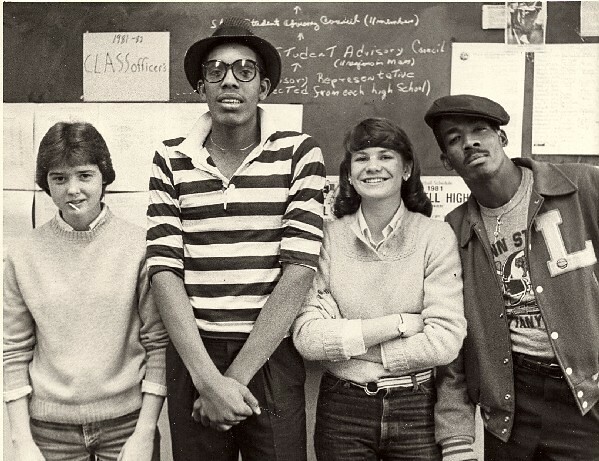 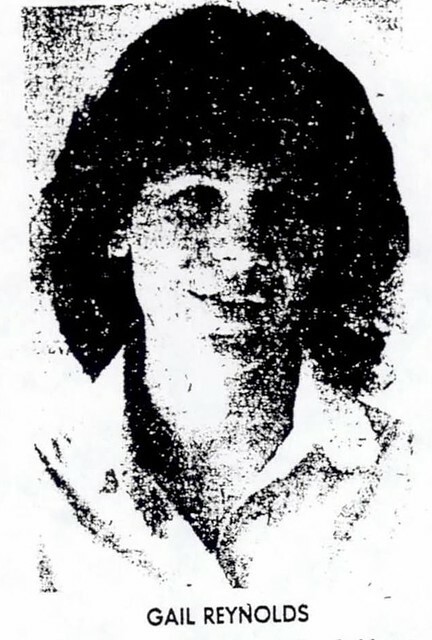 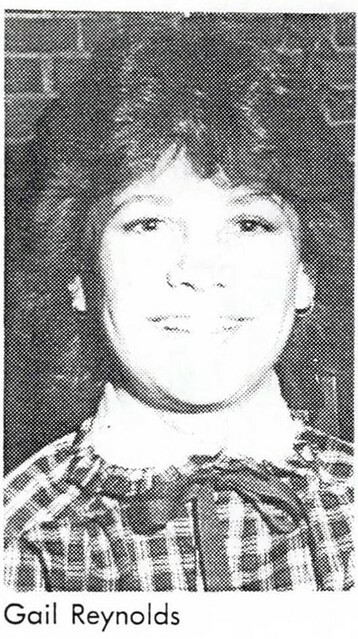 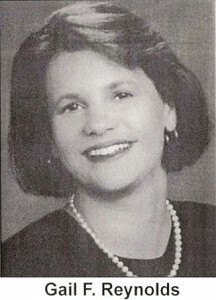 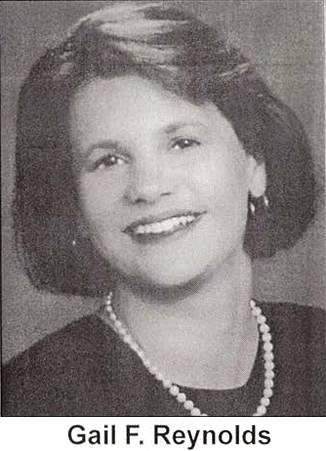 During her senior year (1982–83), Gail served as Co-Captain of both the Lowell High indoor and outdoor squads. 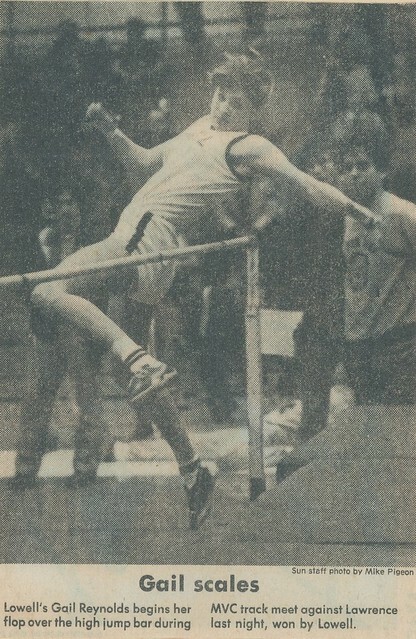 Indoors Gail finished the season undefeated in the MVC in both the hurdles and high jump. 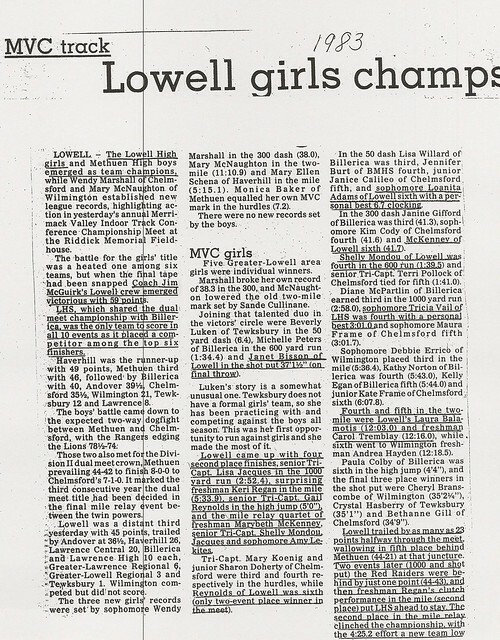 She was also Lowell’s and the MVC’s leading individual scorer. 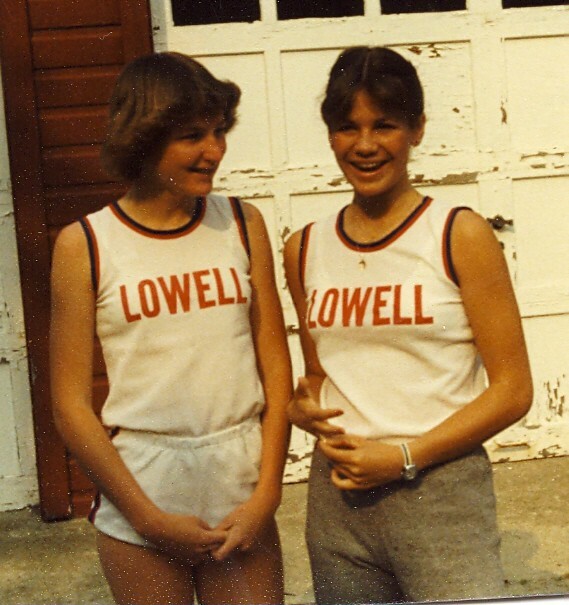 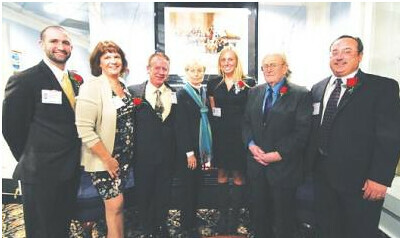 She was named Lowell Sun Trackwoman-of-the-Year for her efforts. 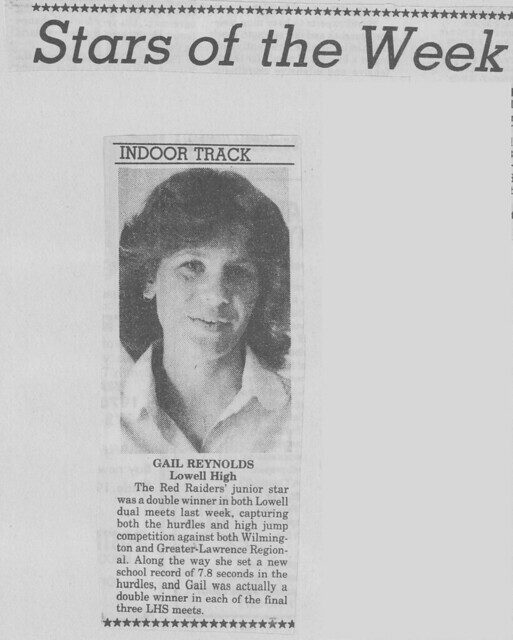 After apparent career-ending major kidney surgery in February, Gail made an unexpected and dramatic comeback, joining the Raiders late in the season to compete in the high jump. 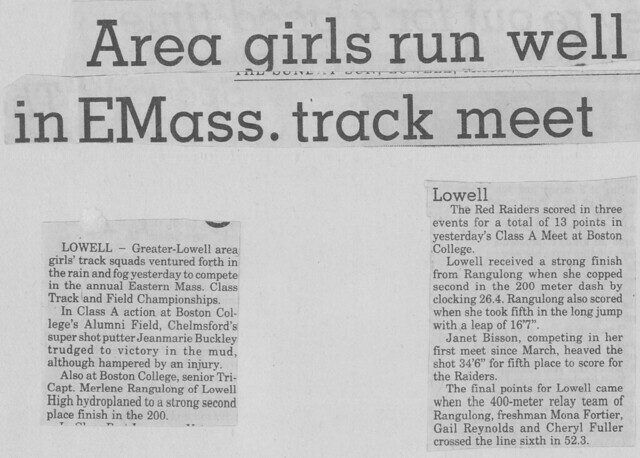 Despite limited practice, Gail culminated her career with a 6th place finish at the Eastern Mass Class A Championships. 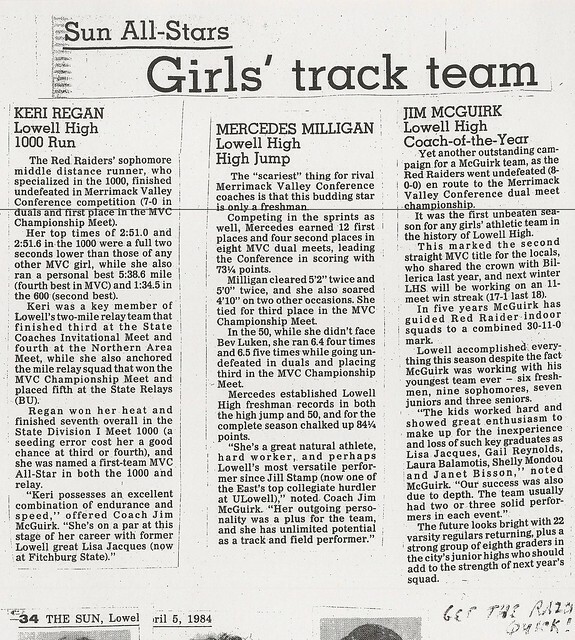 Her return from the surgery prompted Coach Jim McGuirk to call it the “most courageous performance” he had ever observed during his coaching tenure. 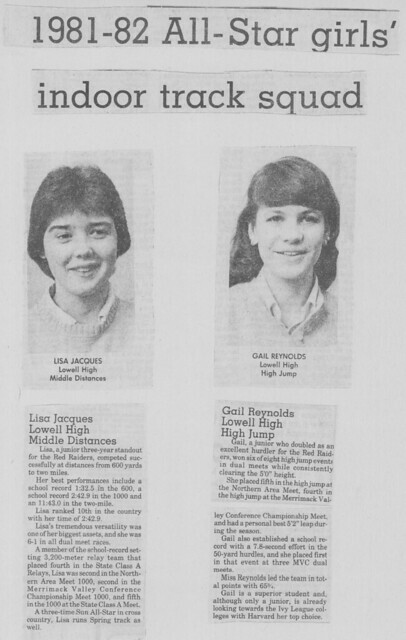 During her track and field’s career, Gail set 6 LHS records in events ranging from the 50-yard hurdles to the 4×400-yard relay. 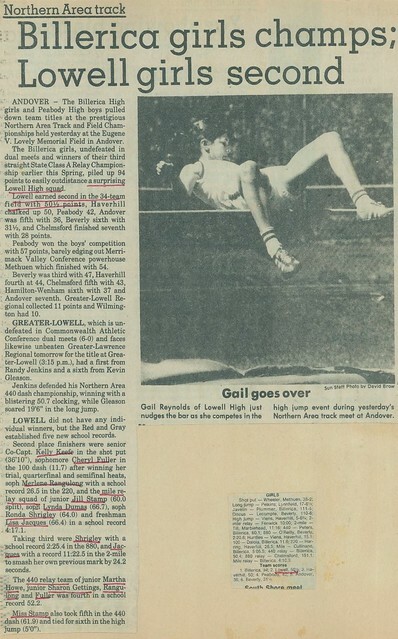 After graduation, Gail matriculated at Harvard University, where she continued her highly successful athletic/academic career. 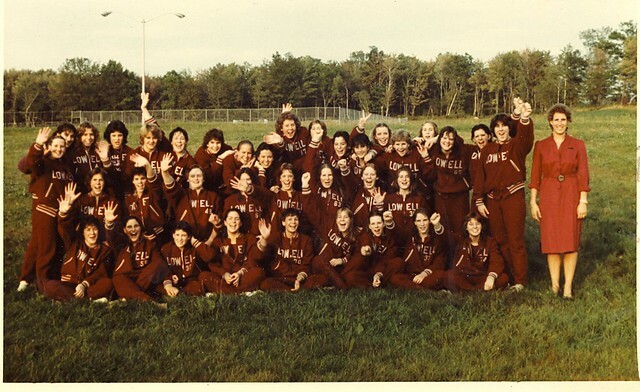 After injury curtailed her track efforts, Gail joined Harvard’s Water Polo team, receiving her varsity letter as Harvard placed 8th in the National Championships in 1986. 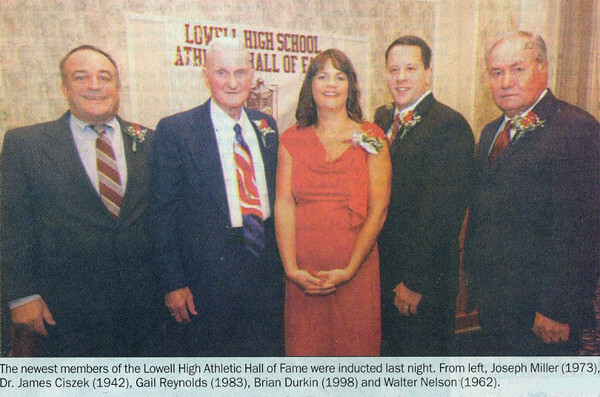 In addition to several teammates, Gail Frank joins her father Brian F. Reynolds in the Lowell High School Athletic Hall of Fame.